BSNL's Interconnectivity move - Yet another Air India in making ? BSNL’s Interconnectivity move – Yet another Air India in making ? While you may be enjoying free incoming calls on your BSNL land line network, the state-run service provider actually charges other private operators for termination of mobile calls on their network. Mobile termination and telecom carrier charges is a part of revenue-sharing norm that comes under regulations on interconnectivity among operators for carrying calls of one network through others, which has been instrumental in growth of the industry and reduction in call tariffs. The plain logic behind application of interconnectivity charges is that a service provider needs to be fairly compensated for the investments and operational expenses incurred, to drive value growth in the telecom sector. If there are hurdles in seeking interconnectivity, it would kill the prospects of widespread or universal connectivity. In earlier times, existing operators tried to preserve their market share by refusing to interconnect or charging exorbitantly high termination charges to make it difficult for the new entrants to compete in the fast growing telecom industry. Furthermore, high carrier charges would also unnecessarily burden the consumer of the interconnection seeker. Simply put, telecom operators with large subscriber base would seem to benefit from high termination charges at the cost of smaller and newer operators. This led to upsurge of TRAI’s Interconnect Usage Charges Regulation 2009; the absence of which could have led to protracted and costly negotiations at the cost of efficient services to the customers. In latest, Bharat Sanchar Nigam Ltd (BSNL) initiated action against private telecom operators to cough up carrier charge dues of over Rs.1800 crore, a claim which has been denied by a group of cellular operators’ lobby. As per media reports, BSNL’s Rajasthan circle have issued notices to private operators to pay their dues or face disconnection. Currently, the regulation provides that a private operator need to pay 35 paise/min to terminate a call in the BSNL fixed line network. On the other hand, the state-run telecom major is required to pay only 20 paise/min for its network calls terminating in the cellular network of private mobile operators. If the state-run telecom company disconnects interconnectivity services to private operators, this step would be perceived as against consumer interests; leading to inconvenience to consumers of all telecom operators, including that of its own consumers as even today BSNL boasts of substantial market share in the fixed line space. Fortunately, the ball is in the TRAI’s court, now that the regulator has stepped in to avoid any further damage in the blame game over payment of dues from the private players. The telecom regulator is expected to study the case, and then deliver a definitive stance. Five years ago, BSNL was a cash cow for the exchequer with the state unit netting over Rs.10000 crore in profits. However, the telecom major is now reeling under heavy losses with projected losses pegged at Rs.623 crore for FY 2011-12, led by its failure to compete with the nimble-footed private mobile phone firms. BSNL is also contemplating prospects of merger with MTNL. This leaves me wondering – if BSNL disconnects the calls from private operator networks, won’t it leave its own consumers high-and-dry in terms of incoming calls forcefully barred from various other networks? This will lead to surrender of fixed line connections from its consumers, in favour of other networks, and turn the tables on its own head. 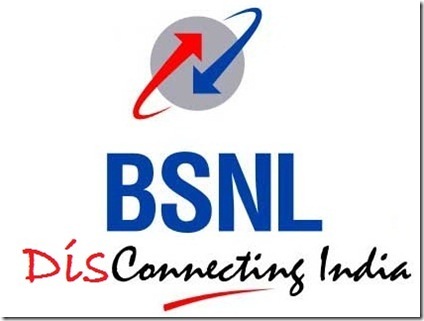 In fact, BSNL’s slogan which says “Connecting India,” could actually take form of “Disconnecting India”! Why you have problem if BSNL Charges for Landline network for I/C Calls…Stop PAID News on behalf of Pvt operators…atleast BSNL is clear that they are making loss from last 2 year…what abt other operators who never makes profit in whole history…just write abt them they will give u answer….Now days everyone love to blame govt organization because of some cheap publicity. Who is gaining whether private operators or the govt? That’s correct. BSNL is going to ‘Disconnect India’ if implement this plan. Actually im using RCDMA with all calls Mobile/landline at 50ps/min. Using MNP i thought to move Vodafone and inquired the tariff, Voda to landline costs 90ps/min. while discussing with the Voda customer care exec. he told me that Voda never offer 50ps/min to landline due its policy etc. Airtel mobile to landline(including their own landline) also costs 90ps/min. Now i know that the high cost to landlines due to this termination charges. Sure its a bad move by bsnl.